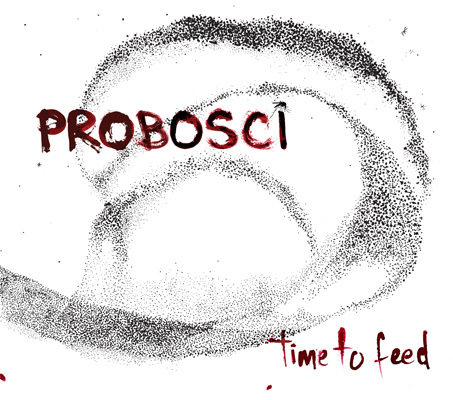 Probosci is a collaboration between France-based violinist Timba Harris (Secret Chiefs 3, Estradasphere) and New York guitarist Gyan Riley (Eviyan, Terry Riley). Both composers, whose work is featured in John Zorn's Tzadik Records Composers' Series, contribute to the interplay between composition and improvisation, steeped with intricacy, subtlety, and shape-shifting energy. Timba Harris, violinist/violist, trumpet player, and composer, is a core member of Secret Chiefs 3 and one half of the electroacoustic chamber duo Probosci (with Gyan Riley). He has performed at many of the world's most renown symphony halls, theaters, rock clubs, and festivals in over 40 countries, sharing the stage with many of today's avant-garde luminaries in numerous configurations. A founding member of the genre-bending band Estradasphere, he has also regularly performed with Al-Madar (w/ Bassam Saba), the New York Arabic Orchestra, and the Gyan Riley Trio (w/ Gyan and Scott Amendola/Ches Smith). Harris has been fortunate to collaborate with many of his favorite musicians; his playing and arrangements can be heard on recordings of composers' work such as John Zorn and Eyvind Kang and bands including Grails, Wolves in the Throne Room, MMoB, and Sunn O))). Recordings of his compositions for large and small ensembles can be found on Tzadik Record's Composers Series. Gyan Riley has spent the 15 years following his tenure as the first full-scholarship graduate guitar student at the San Francisco Conservatory touring as a classical guitar soloist and in various ensembles throughout Europe, Canada, Latin America and the US, including performances with Zakir Hussain, Michael Manring, Mike Marshall, Dawn Upshaw, the San Francisco Symphony, the Falla Guitar Trio, the World Guitar Ensemble and his father, the composer/pianist/vocalist Terry Riley. He has composed works commissioned by the Carnegie Hall Corporation, the American Composers Forum, and the New York Guitar Festival. Gyan's diverse work now focuses on his own compositions, improvisation, and contemporary classical repertoire. Recent performance highlights include Carnegie Hall, London's Barbican Theatre, the All Tomorrow's Parties Festival, the Big Ears Festival, Moogfest, and soloing with the Philadelphia Chamber Orchestra. Current ensemble projects include the duo Pluck with Wu Fei (guzheng and voice), the duo SuperBalls with David Cossin (percussion), the quintet Al-Madar, fronted by Bassam Saba (oud, ney, flutes), a duo with Terry Riley (piano, synth, voice), and Eviyan, with Iva Bittová (voice, violin) and Evan Ziporyn (clarinets). Gyan has four solo CD titles and several other ensemble/collaborative appearances, most recently recording for the Tzadik Records label in New York. On this duo's debut album, Time to Feed, Harris and Riley adventurously explore sonic landscapes with quicksilver virtuosity. From purely acoustic music to unfamiliar electroacoustic textures, Time to Feed darts seamlessly between focused subtlety and disorienting aggression. 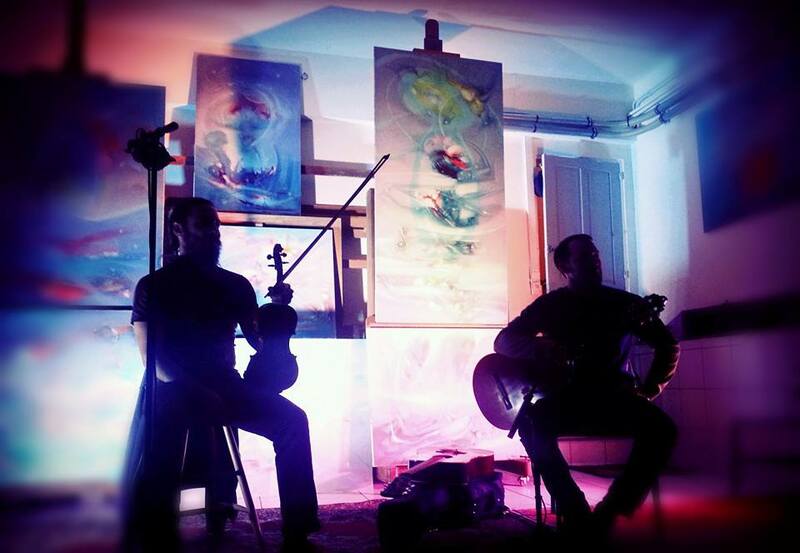 Having mesmerized listeners at many of the world's most renown symphony halls, theaters, rock clubs, and festivals in over 40 countries, Probosci is the next evolution of these two musicians' years-long musical partnership.